What is the New York Stock Exchange (NYSE)? The New York Stock Exchange (NYSE) is the largest securities exchange in the world, hosting 82% of the S&P 500, as well as 70 of the biggest corporations in the world. It is a publicly-traded company that provides a platform for buying and selling over nine million corporate stocks and securities a day. In 1792, the NYSE was established at 68 Wall StreetWall StreetThere are two ways to look at what Wall Street is: it is both a geographical location and the financial mecca of the U.S. and, arguably, of the world. In terms of geography, Wall Street takes up eight blocks in Manhattan, New York, running east to west from Broadway to South Street in the heart of the financial district. where 24 brokers and merchants outlined the rules for trading securities in the Buttonwood Agreement. The organization was initially named New York Stock & Exchange Board. It became the New York Stock Exchange in 1863. At that time, only male traders took part in the NYSE. It was only in 1967 when a female trader named Muriel Siebert was allowed to participate in trading. In 1971, NYSE became a not-for-profit corporationCorporationWhat is a corporation? A corporation is a legal entity created by individuals, stockholders, or shareholders, with the purpose of operating for profit. The creation involves a legal process called incorporation where legal documents containing the primary purpose of the business, name, and location, and in 2006, a publicly-traded company. It was also during this time when traders and the public started using an electronic system to trade stocks. In 2007, NYSE merged with Euronext, and in 2008, NYSE acquired the American Stock Exchange. The Intercontinental Exchange later purchased the NYSE for $8.2 billion. All trades on the New York Stock Exchange follow a continuous auction format. Brokers trade stocks as buyers and sellers auction securitiesPublic SecuritiesPublic securities, or marketable securities, are investments that are openly or easily traded in a market. These securities are either equity or debt-based. An equity security is an investment based on the equity of a company. A debt security is an investment based on the debt of a company or entity for the best price. Though famous for its trading floor, most stock transactions are now done electronically, with computers matching buyers and sellers. Despite most transactions now happening through electronic platforms, the NYSE is still a hybrid market. This allows stockbrokers to send orders through either the electronic platform or to the trading floor where orders are carried out by floor brokers. The NYSE originally used a gavel to signal the start and end of trading, but in 1870, it switched to a Chinese gong. When it moved to its present location, the gong was replaced by a brass bell. The opening bell rings at 9:30 a.m. Eastern Time, while the closing bell can be heard at 4:00 p.m.
A significant part of the stock exchange’s brand, the opening and closing bells are also used to mark a financial-related event or celebrate an important event in New York City. It is an honor to be invited to ring the bell on the NYSE. While many who are asked to ring the bell are business executives, there are also many celebrities who’ve rung the bell. The privilege was also given to the police and fire departments of New York City who answered the call of duty during the 9/11 attacks. 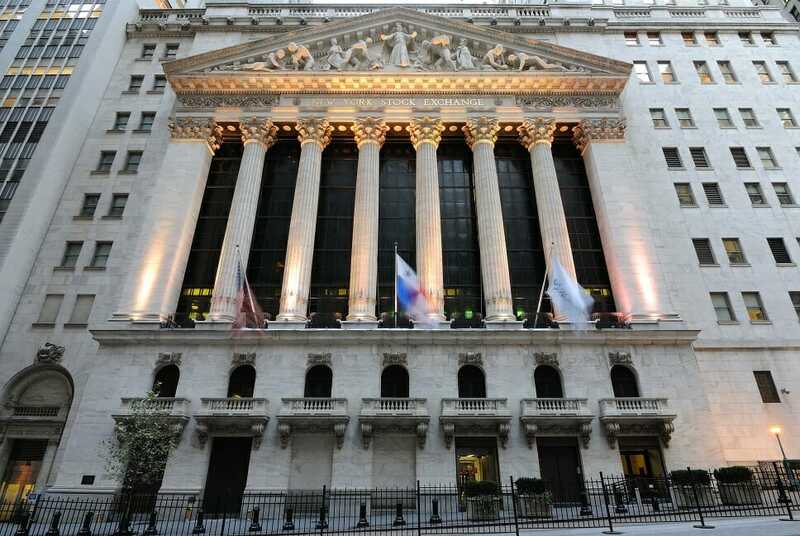 The New York Stock Exchange is the busiest and most important financial market in the world. Its stocks are traded by investors worldwide.